"The axe forgets. The tree remembers." You were beaten. Tortured. Left reeling. Now it's time for Vengeance. 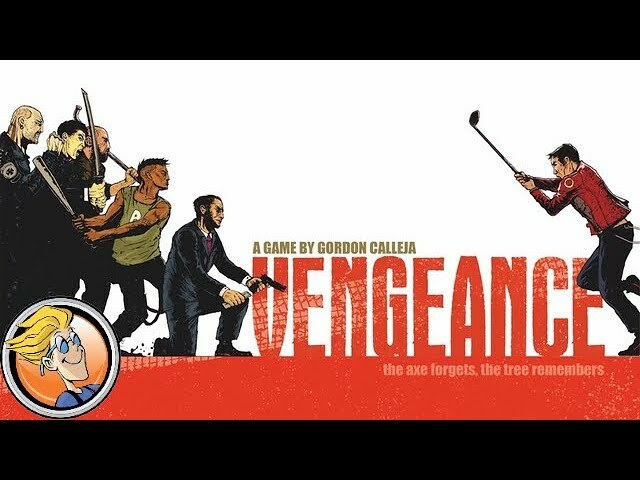 Vengeance is a board game of action movie revenge based on films like Kill Bill and Oldboy. Mixing character progression and dice combat into fluid fight sequences, (have you ever wanted to backflip into a room while firing two guns at once? Vengeance will let you.) step into the shoes of a hero wronged, and their quest to fight back. Gather information. Seek out your target. Play through an innovative dice system that turns the action into a puzzle you can solve. Lock, load, beat up the bad guys, and learn new abilities to make yourself even more of a giant badass then before. Buy Vengeance for the ultimate action movie board game experience.